Are you suffering from gouty arthritis and have been unsuccessful in relieving the inflammation with conventional drugs? You will be surprised to learn that using natural stinging nettles for gout arthritis that has been giving you sleepless nights is more effective than the conventional drugs you have been hooked to all along. This remedy has not only proved to be effective but is also cost-friendly, unlike most of these drugs. While there are various causes of gout arthritis, these nettles have proven to be a success in treating a majority of the cause. In this guide, you will learn about using stinging nettles for relieving gout. People have been using the stinging nettle’s roots as well as the parts above the ground for medicinal purposes for quite a long time now. For instance, nettles were used by the Greek for their laxative and diuretic properties. In addition, its strong phytonutrient property makes it a powerful anti-inflammatory source of medicine. Nettles contain calcium, protein, iron, phosphorus, magnesium, and beta-carotene together with vitamins A, C, D, as well as vitamin B complex. These substances are readily available in forms that are suitable for consumption by the body. Moreover, the best part is that you can buy it in form of tea. There is strong evidence from medical research that shows how effective stinging nettle can be in treating gout arthritis. One such review on commonly used herbal medicines including stinging nettles was published in the Toxicology and Applied Pharmacology journal. The journal states that nettles stand as an anti-inflammatory food which can be used to get rid of stubborn gout. Although there are relatively a lot more conditions in which stinging nettles can be used, there is a lack of in-depth study on the effectiveness of nettles on most of these conditions. However, there is no doubt about its ability to relieve gout pain. As mentioned earlier, there is a wide range of application of stinging nettles but only a few of these have strong scientific backing. For instance, the root of a nettle plant may be effective in preventing and treating symptoms and effects of arthritis including urination problems. Urination problems are mainly caused by an enlarged prostate also known as benign prostatic hyperplasia. 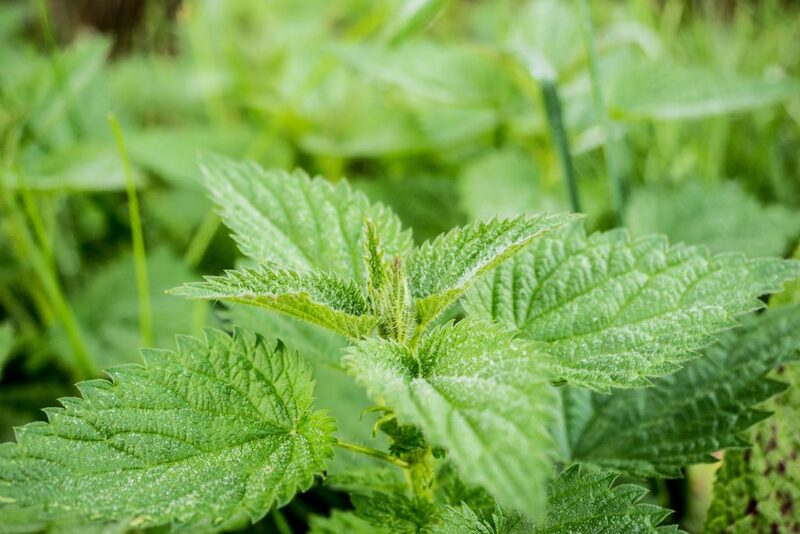 Therefore, if you suffer from frequent urges to urinate, pain during urination, irritable bladder, inability to urinate and nighttime urination, you should try the stinging nettle. The stinging nettle root is also commonly used in curing joint pains and ailments both as an astringent and as a diuretic. As an astringent herb, nettles constrict and draws together body tissues. This helps to stop the flow of blood and other secretions from inflamed parts. Thus, the plant’s root can come in handy in healing, tightening, drying and reducing gout inflammation, wounds and burns. As a diuretic, the root helps to stimulate the elimination of retained fluids in the joints while preventing the depletion of any essential minerals. Its parts above the ground which include the stems and leaves are also equally important in the treatment of gout. These parts are mainly applied in irrigation therapy with large amounts of water. This treatment is applied in remedying urinary tract inflammations, infections, and nephrolithiasis. Besides these gout associated conditions, you can also attempt to use it for hayfever, osteoarthritis, and allergies. When using stinging nettle for gout pain elimination, the main mechanism behind it is that it decreases the output of urine hence protecting the kidney which effectively reduces any gout inflammation. Countries like Turkey and Germany have been on the forefront in studying the antioxidant, anti-ulcer, antimicrobial and analgesic properties of this plant. A particular study in Germany illustrated the presence of a new extract of the plant’s leaves known as hox alpha which contains the powerful anti-inflammatory substance. The hox alpha proved highly effective in suppressing a range of cytokines in joint inflammations. A separate study, carried out in Turkey, shows an extract of stinging nettle exhibiting antimicrobial properties when used against a set of nine different micro-organisms. When the nettle extract was combined with a sabal fruit, its effectiveness to placebo in the treatment of prostate hyperplasia was unmatched with high tolerant levels. For maximum benefits, one must prepare a perfect dose. This is, however, dependent upon several factors. The dosing of stinging nettle for gout will depend on the patient’s health status, age, prescribed medications and the extent of the gout inflammation. In addition, it is important to consult your qualified physician before starting the nettle dosage since there is little information directing on the dosage of this natural gout treatment. Stinging nettle can be found in various forms on the market and in the grocery near you. One common form is the stinging nettle tea. This is made by drying the leaves and flowers of the plant and then steeping them. Some commercial herbalists tend to blend other herbs with the nettle leaves and flowers to come up with variations of the nettle tea. Note that the blending with other herbs such as echinacea, raspberry leaves, and goldenseal does not negate this plant’s properties. It can also be cooked whereby the leaves are prepared in the same way you would cook spinach. Once cooked, you can serve them together with soup or stew. There have also been cases where the nettle plant is pureed and used in various recipes such as green smoothies, polenta, pesto, and salads. The plant’s extract can also be administered topically to the inflamed joints and any other painful areas. For topical application, a tincture, cream or extract of the plant should be used. There are also nettle capsules and tablets in the market which can be taken orally like normal medicine. Using stinging nettle for gout treatment has not enjoyed as much popularity as it should because very few people know about its potential to treat gout. You can now share the amazing properties that stinging nettle for gout holds to anyone you know struggling to treat this arthritic condition.